Key West may be 90 miles to Cuba, but that doesn’t mean it’s always been easy for Americans to get there. Leave it to a few dedicated Conch skippers to make that happen. 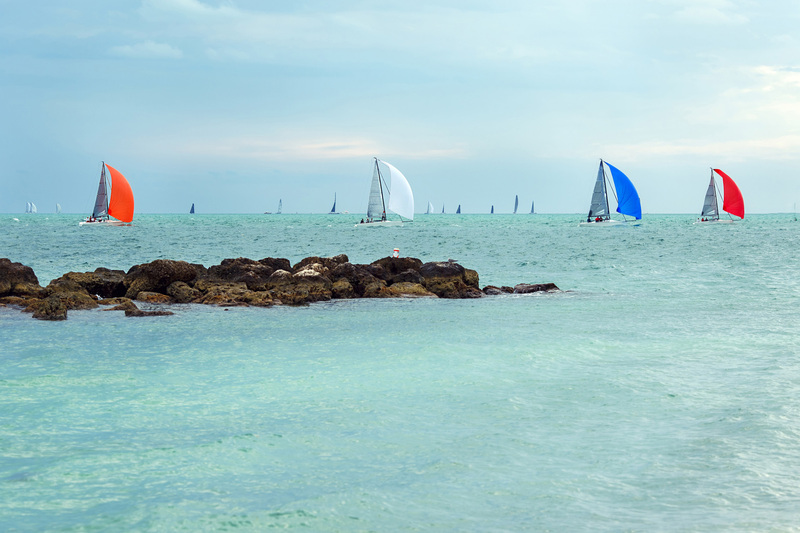 As is now tradition, every January Conchs race from Key West to Varadero, Cuba, then to Havana, and back to Key West. Aptly named the Conch Republic Cup, it’s one of the most unique races of its kind, with an underlying insurgency that’s distinctly Key West. It all started in 1997 when Commodore Escrich of Cuba’s Hemingway International Sailing Club approached the Key West Sailing Club about a race from Key West to Cuba to foster good will between the two countries. Sailors had always raced between the two countries, but considering the embargo, much of this was kept hush-hush. So when the Conch Republic Cup was announced, it took off. Of course, that didn’t mean the Conch Republic Cup would be without controversy. Especially considering that U.S. – Cuba relations had been tense since its inception. In fact, the U.S. Department of Commerce intervened and shut down the race for good in 2003, even taking its participants to the courthouse and confiscating their property. Luckily, when diplomatic relations between the two countries were re-instated in 2015, so was the Conch Republic Cup. Although Key West Cuba Race Week isn’t as rebellious as it was in 1997, it’s still one of those once-in-a-lifetime experiences. And the sooner you go, the better. For those considering the regatta, the race goes like this: The skippers start in Key West, racing first across the Florida Straights to Varadero, Cuba. In Varadero, there’s a welcoming party at Marina Gaviota, the one place that might rival Key West in terms of a party. Then it’s back to racing, this time from Varadero to Havana to arrive at the Hemingway International Yacht Club, the Key West Sailing Club’s Cuban counterpart. From there there’s a triangle race and a parade along Havana’s iconic Malecón. Are you up for it? Here’s where you can stay when you make it back to Key West. We’ve got ties to Cuba as well.